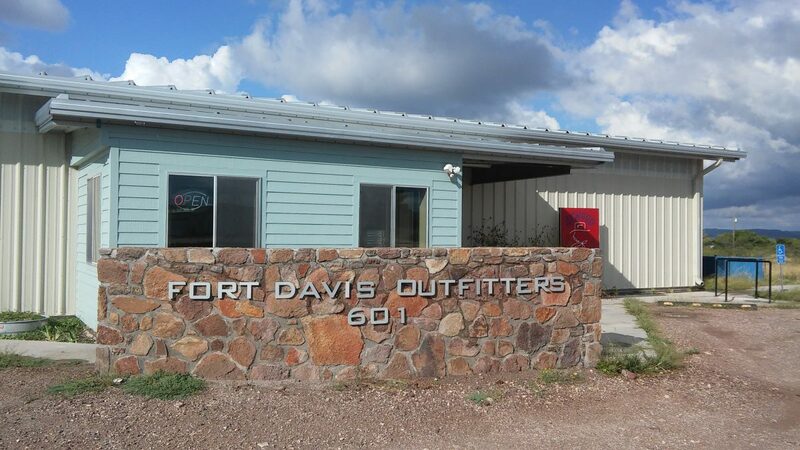 Fort Davis Outfitters is a friendly and locally owned / operated old fashion general store carrying men’s and women’s clothing and western wear, boots, felt, palm leaf and straw hats, jackets and leather coats, jewelry and accessories, fun items, gifts, games and toys, health and beauty items, cosmetics, kitchen, household, storage and cleaning supplies, party and office supplies, grilling, camping and RV equipment, party goods, pet supplies and food, lawn and garden supplies, hardware, tack, ranch supplies and feed. If we don’t have it we will try and find it. Located 1/2 mile down Cemetery Road on the left. Open Monday-Saturday from 8:30 am to 6:00 pm.